Go to Member > Licences. 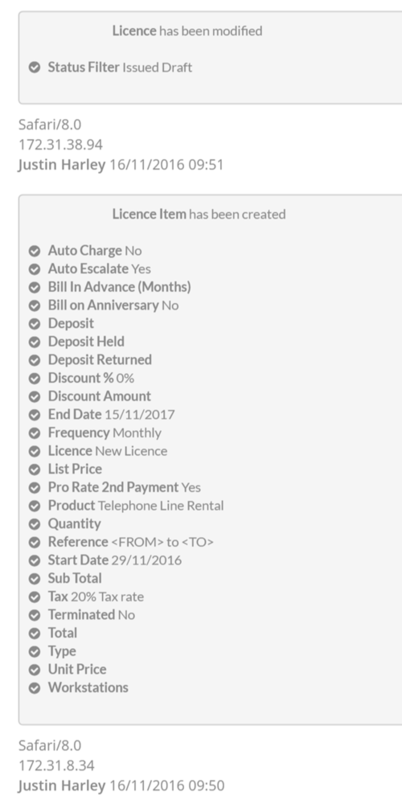 Find the Licence you want to see events for and click the Licence Name. Click the See Events button, on the right hand side of the screen. You will now see a window listing everything that has occurred on this particular Licence. Here is an example list of events that shows essential record details (at the moment of its creation) as well as changes that have been made later on; along with details on who has made those changes and when. Information will be displayed in event order, with the most recent events at the top.